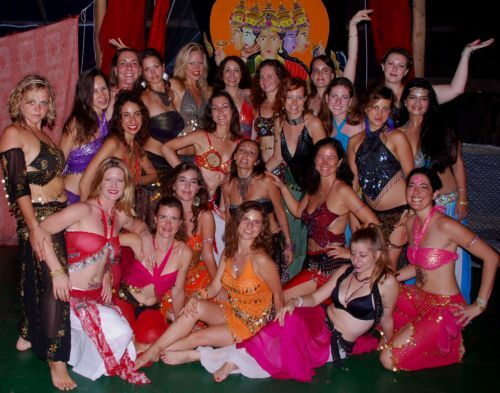 In the longer Mystical Belly Dance workshops, there is the option to join in a group 'performance', a highly transformational experience for any woman, regardless of dance level. The dances are rehearsed - and as we view the event as an 'offering' from the heart, and move in a transfigured state of being - magically everyone looks like a 'goddess-come-to-life' on stage. 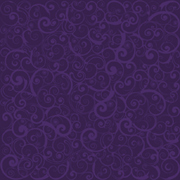 The results of the past Mystical Dance® manifestations have been astonishing ... no one can believe how quickly the groups pick up the choreographies (sometimes up to 7 numbers!) and how stunning, unique and radiant each woman appears. 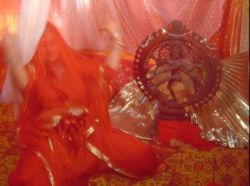 Experience the profound inspiration of dancing the Goddess into existence! Monika began to perform Oriental dance professionally in 1993 in New York City at Al Dewan, a classic Lebanese restaurant in Astoria. Dancing every weekend to the live music of a dynamic Middle Eastern band was a thrill for newcomer in the Oriental dance scene. 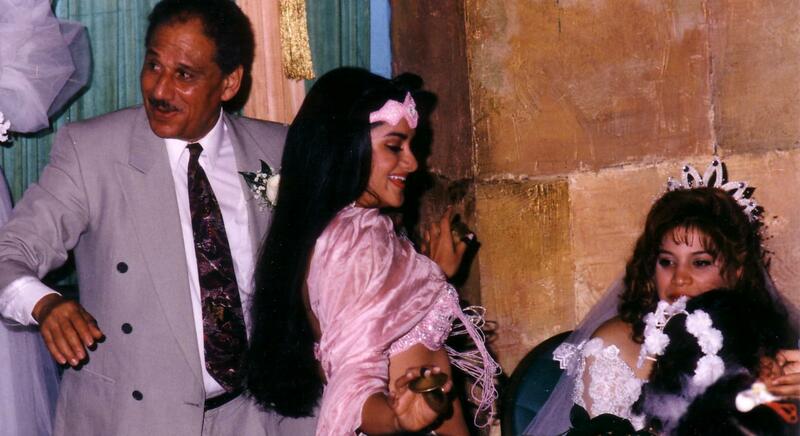 She went on to become a popular dancer in the NYC Arabic night club circuit, dancing at Al Bustan, Cedars of Lebanon, and countless Greek, Turkish and Arabic clubs throughout the city. 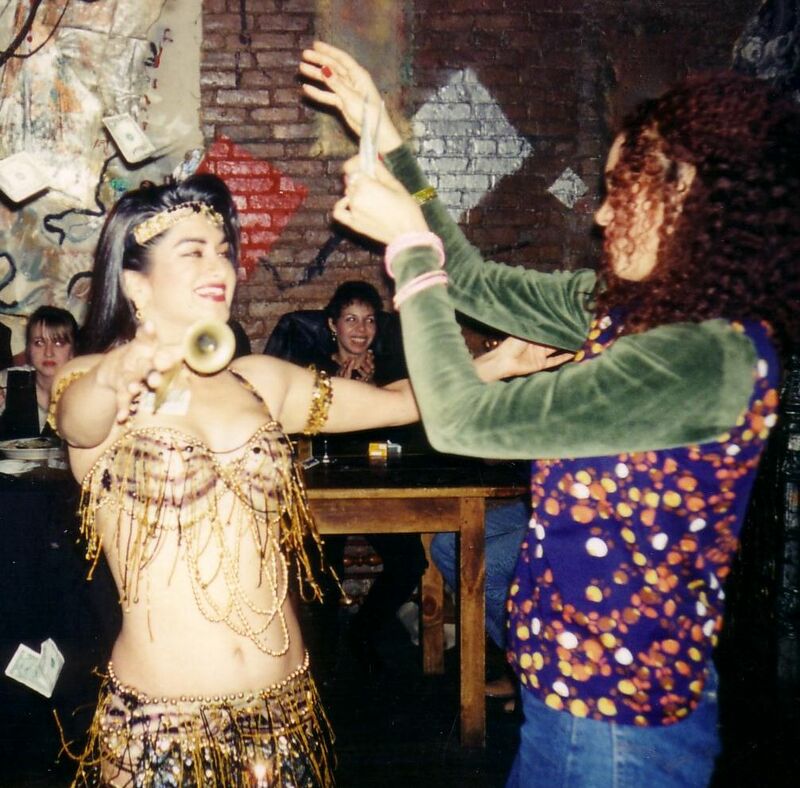 Monika was a featured dancer for many years in Serena’s famous Cleopatra/Ibis Supper Club off-Broadway belly dance cabaret show where she performed with the loveliest dancers of NY! 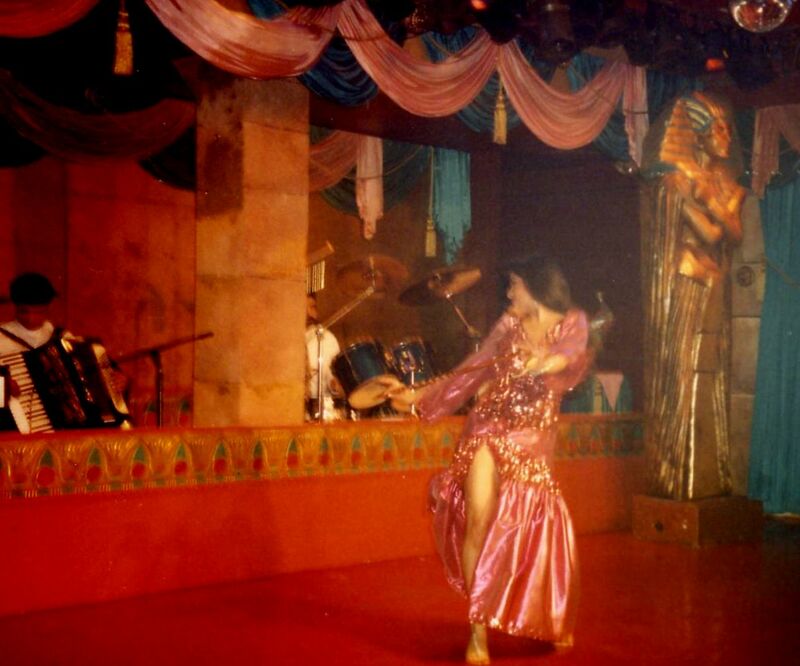 These were the days of exclusively live music in the nightclubs and a very vibrant scene for Oriental dancers. It was a spontaneous "show" at Summer Stage in Central Park that opened the doors for Monika to be featured in the finest Indian restaurants, events and clubs in the city and to develop a unique Bellywood style. Monika regularly performed at the United Nations and appeared at Lincoln Center’s Damrosch Park, and cultural stage shows in Queens Theater in the Park, the Brooklyn Museum and the Atlantic Antics. She danced in many festivals and represented such luminary choreographers as Ibrahim Farrah at the American Academy of Middle Eastern Dance ‘Hall of Fame’ Awards. Through her work with the multi-talented pop singer Dana McCoy, Monika appeared with Sharihan/Raven in a funky belly-fusion style at the hippest nightclubs in Manhattan and Miami. Accompanying some of the most beloved Arabic bands, she enjoyed sharing Oriental dance with international audiences at then famed hot spots such as Nell’s, Anarchy and the Supper Club. Monika appeared on MTV and in TV news features and commercials in the tri-state area. She most enjoyed dancing at Middle Eastern family weddings, birthdays and anniversaries as it gave her the opportunity to feel the deep-rooted cultural aspect of this celebratory dance. In 1996, Monika’s international dance career was launched with Shahira when they were invited to represent Egypt at the IATA conference in Bangkok, Thailand. Most recently, Monika’s professional belly dance performances have been focused in India – from the shores of Kovalam to the mountains of the Himalayas and at exclusive hotels such as Le Meridien and the Taj Group in cities stretching from Cochin, Bangalore, Nagpur, Pune, Mumbai, Bhopal, Ahmedabad, Delhi and Calcutta. Monika has appeared on Indian national television dancing live with the singer Usha Uttup. Her Bollywood-Bellydance performance in Turkey in 2006 led to numerous magazine and newspaper features and a few spots on the Turkish news! Continuing to expand her horizons, Monika devotes more of her energy to creating ritual Goddess invocations and sacred Shakti offerings with her students in Thailand, India and Turkey. She is exploring the connection between the dancer, the "observer" and the levels of consciousness manifested through the performance dynamic. Monika’s repertoire includes dancing with Isis wings, sword, veil, finger cymbals, cane, candles and fire trays. She also specializes in temple fusion style dance.